Rick was riding his motorcycle down Hwy 86 and was hit by a tractor-trailer that didn’t see him. Rick slid under the trailer and cut a hole all the way through his foot, it was a traumatic experience. He couldn’t work and was unable to get a response from the trucking companies insurance. At Nagle & Associates, we provide compassionate, personalized assistance to people who have been involved in serious motor vehicle accidents. 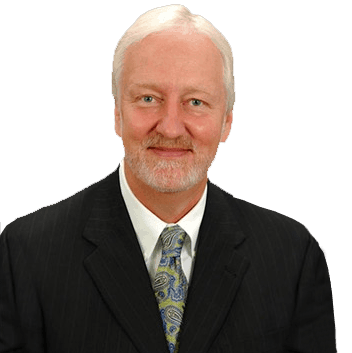 With over 20 years of experience purely in the motor vehicle accident arena, proven car accident lawyer Carl Nagle represents victims throughout North Carolina. Mr. Nagle and his team have recovered over $320 million in compensation for victims throughout the state. We understand the financial issues and legal issues that arise from serious motor vehicle accidents because we practice exclusively in this area of law. Our focus on traumatic injury cases arising from car, motorcycle, bicycle, pedestrian, truck and other vehicle accidents has led us to forge strong relationships with a wide range of experts in this area, ranging from doctors and surgeons to accident reconstruction engineers, law enforcement, economists and vocational rehabilitation experts. As a former insurance adjuster and former insurance company lawyer, Carl will craft persuasive strategies to protect your rights, maximize compensation, and solve problems in your time of need. 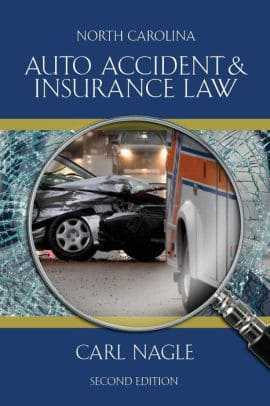 North Carolina Auto Accident & Insurance Law by Carl Nagle available at Barnes & Noble, Amazon, and for free on our website here. Our fee is 25% of settlement and only if we win. Lower fee than most firms, leaving more money for you. Our goal is to settle your personal injury case by collecting the highest possible tax-free payment without court involvement. The best injury attorneys focus primarily on developing your medical evidence so we can force the other side to understand the full extent of your injuries, the cost and need for all past and future medical needs, and the likely extent of all symptoms and suffering expected for the rest of your life. Concise and compelling medical evidence shows the adjuster that you hold the winning hand. We offer immediate free legal consultations by telephone or in person. With a simple phone call, we will discuss your accident facts and your related injuries and damages and assess whether you have a legal right of financial recovery. In North Carolina, if you are just slightly at fault (even just 1%), you have no valid claims against other at-fault parties. Insurance companies always try to deny claims or minimize injury claim payments. Invest the time to talk with a lawyer before you start working with the insurance adjuster who is paid to oppose your claims. Carl Nagle is available now to assess case viability and explain your legal options. What amount of compensation am I entitled to? Insurance companies seek to cut all of these damages, and they often argue that injuries are either pre-existing or exaggerated. Further, if they are not convinced that you will go through a trial, they hold back on settlement offers and compel victims to accept a discounted injury-claim payment. For a careful review of your injuries, collision facts, losses and overall case value, call us for a free consultation. We are glad to help even if you choose not to retain counsel. How will my lawyer provide me with case updates? Our law firm has resisted and refused to install voice mail on our phone system. We intend to provide close, personal service to every client! You should expect immediate return calls from your lawyer and his team, and we keep a 30 day calendar on all cases to make sure we contact our client on a regular basis to check on medical status, and to make sure that the client and our firm are always on the same page. We acknowledge that an injury victim needs to have updates and support, and we help along every step to ensure that your health insurance is properly utilized, to ensure that your medical file is entirely up to date, to make sure that all necessary medical care is provided as soon as possible, and to maximize the ultimate value of your personal injury case. How long does it take to typically receive compensation? In most cases, it is best to complete all medical treatment before the case is presented for settlement negotiations or trial. Never rush through medical care! A careful and patient approach to medical care is the best way to protect your health, and a longer period of medical care also translates to a higher cash payment for pain and suffering. Once medical care is concluded, we strive to collect all final medical records, medical billings and other injury-claim evidence within 30-60 days. Once we receive all medical records and evidence, we review the evidence and prepare and submit the injury claim and demand for payment within one week. Since we are threatening a trial (remember, most cases settle with no court involvement), we prefer to wait for the insurance company to make the next move. In most cases, we receive an initial offer within 30-45 days. Thereafter, we negotiate hard behind our threat of a lawsuit and push for the highest possible settlement offer. While there are delays in some cases beyond the client’s and attorney’s control, most cases can be settled and the client paid just a few months after medical care is concluded. Also, we structure the settlement so that the net money received by our client remains tax free. Is there a time limit on seeking compensation? The “statute of limitations” bars all claims that are filed late. North Carolina law imposes a three year deadline to file a lawsuit in cases involving injury, and just two years from the collision date for fatal accident and wrongful death claims. You should never wait until the deadline is close because it is vital to include all responsible parties in a lawsuit. If the case is filed only against one of several responsible parties and the legal deadline passes, those who were not properly sued and served with a Summons and Complaint escape legal liability. In wrongful death cases involving minor children, the same two year suit-filing deadline applies. In personal injury cases involving minor children, the three year deadline only applies to the parents’ claim for medical expenses and out-of-pocket loss. The child’s deadline is extended so that the child can file a lawsuit seeking money for pain and suffering by three additional years, meaning suit must be filed the day before the child’s 21st birthday. What do I do if a family member injured in a car accident dies? Fatal injury cases allow certain surviving family members to collect compensation by pursuing claims under the North Carolina Wrongful Death Act. Wrongful Death cases are unique, and they are also subject to a strict 2 year suit-filing deadline. Further, an estate must be opened for the decedent before the lawsuit can be filed. Damages in Wrongful Death case include medical expenses incurred by the victim during life-saving efforts, funeral expenses, lost income that the decedent would have earned through retirement, compensation for the lost services of the decedent, compensation for the lost relationship and companionship, and punitive damages in cases involving willful and wanton or intentional conduct. The family members who share in the award are those family members who would receive an inheritance through the North Carolina Intestacy statutes (the statute that divides any decedent’s property among family members in cases where a person dies without a valid will). This typically puts payment it the hands of a surviving spouse, children of the decedent, and sometimes with surviving parents or siblings. What can I do if my child is injured in a car accident? In most cases, court approval will be required to finalize any private settlement of a child’s personal injury claims. Under North Carolina law, any person under age 18 is deemed a “minor”, and a minor’s personal injury claim is divided into two parts - the parents own the claim for medical expenses and the child receives the payment for pain, suffering, scarring, disfigurement, lost quality-of-life, and future problems. To secure a valid and binding settlement, a judge must approve the terms of settlement for the family’s benefit, and they will then order the child’s funds to be placed either with the Clerk of Court until the child’s 18th birthday, or the money can be placed into a “structured settlement”. Structures allow the parent to determine how the settlement money will be paid out after the child reaches age 18, and this allows the money to be invested until later in life, and interest income remains non-taxable. Family’s who choose structures often choose to have the child receive several installments instead of a single lump-sum at age 18. Our firm guides the family through this entire process and we handle all of the red tape and paperwork involved in court approval of any settlement, trial of the case if settlement cannot be reached, and timing of payouts when the family prefers a structured settlement. How much will I have to pay if I want to hire your law firm? You pay nothing up front to hire our firm, and we can begin working for you today. We can even come to your home or office if this helps to get your case started. Our legal fee is 1/4 or 25% of any settlement, which is far less than the 1/3 or 33 1/3% that most firms charge. With our experience and reputation, we seek to increase your settlement payments sufficiently to cover our legal fees. If a trial is necessary to secure compensation, our litigation fee is 1/3, which is also far less than the 40-44% fee that most personal injury lawyers charge in litigation cases. We ONLY handle motor vehicle accident cases, and we typically handle serious injury and wrongful death matters. Mr. Nagle reduced his fee percentage over a decade ago because he felt that a 1/4 fee was more generous and fair for the client. With our firm, you keep 75% of your settlement instead of 66 2/3%. We feel this more fair for our clients, and more responsible for the law firm. Our goal is to push the insurance carriers, capture all available insurance coverage, develop your medical evidence and thereby INCREASE THE SETTLEMENT VALUE OF YOUR CASE. To the extent that we increase the value of your case, we are compelling the insurance carrier to pay our attorney’s fee. We charge no inter-office expenses to our clients so you pay nothing for copies, phone calls, postage, etc. Attorneys are not allowed to pay litigation expenses, but we always advance those expenses on behalf of our clients. For example, the filing fee that is paid to file suit and open a court file is advanced by our firm, but is covered by the client’s share of the trial verdict. This is true for all law firms. Please don’t worry about case costs because most of our cases settle with no suit-filings or court involvement. Therefore, most cases are concluded with little or no outside case-development expenses. Our accident attorneys are compassionate, dedicated and experienced advocates litigating cases that involve injuries ranging from minor damages to fatalities. Raleigh/Wake County - Contested case where our client struck cargo that was not securely fastened to a flatbed trailer. Suit was filed after legal liability was denied by the legal representatives of a tractor trailer driver. The defense argued contributory negligence and sought to place some blame with our client which would have resulted in a zero verdict and no financial recovery. Our collision reconstruction experts stood strong and we secured a multi-million dollar recovery for our client. Westfield/Surry County - Our client was riding his motorcycle back from the Blue Ridge Parkway when an approaching driver attempted a left turn directly across his lane. Our client endured a leg fracture which required surgery and cuts to his hands. Wake County/ Raleigh, NC - Tractor trailer driver rear ended our client causing spinal fracture which required a vertebral fusion surgery. Truck driver sought to blame an uninvolved driver, suit was filed and the case was settled at mediation. Mount Airy/Surry County - Client suffered two broken legs in an intersection collision caused by driver who disregarded a posted stop sign and drove directly into client’s path. Hendersonville/Henderson County - Pedestrian struck in the parking lot of a car wash and incident resulted in traumatic brain injury for elderly victim. Multiple issues contested which resulted in lawsuit filing. Case was settled for the victim’s demand for damages shortly before trial. Asheville, NC - Funded settlement in Dram Shop case asserted against a drunk driver and the popular national restaurant chain that over-served the drunk driver immediately before the collision occurred. Head-on crash caused blunt force trauma to the face and severe foot fracture. Restaurant denied wrongdoing but our investigation and evidence compelled them to accept legal liability and later pay the victim’s demand for damages.